1. How old is your oldest account? 2. What is the average age of all your accounts? • Open credit accounts as early in your adult life as you can. Assuming you handle them like you should, they’ll just sit there in your report and build credit score strength for you over the years. When it comes time to make a big purchase, like a home, your older accounts might make the difference in qualifying you for a lower rate. Remember Jack and Jim and the frightening amount of extra money that Jim’s mortgage cost him over the years. 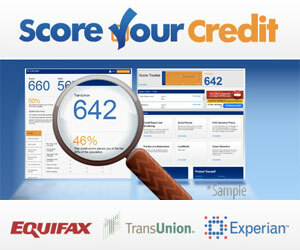 • If you have plenty of credit, and you have some new accounts that you’re not using, close them. This will bump up the average age of your remaining older accounts. • Don’t open new accounts without a good reason. The next time you hear a store clerk offer to take 40 percent off the purchase price if you open a store account then and there, politely decline. If you don’t, that new credit line will show up on your credit report, and the negative impact on your score will probably cost your far more in the long run than any savings you might enjoy on today’s store purchase. • Of course, from time to time you’ll have to open a new account; but try to do it when you’re not contemplating a major credit purchase (like a home or a new car). If you can put some months or years between your last new account and your application for a big installment loan, this will help you. The “new” account will have become “older,” your credit score will be higher, and the rate on that home or car loan will be lower. Remember look out for next week’s blog on “What You Can Do to Improve Your Credit, Starting Now”, Step 4—Mix Your Credit Types. To learn more about improving your credit call InCreditable Advisors today at 317.837.4969 to schedule a free consultation with one of our friendly credit advisors.